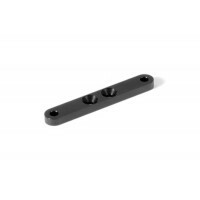 MEDIUM-hardness front lower suspension arm made from high-tech composite material. The exclusive composite mixture used for suspension arms is a perfect balance between reliability and performance. The suspension arm is rigid enough to provide a responsive feel, yet soft enough for extreme durability. 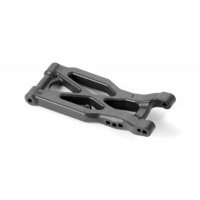 Universal design front arm can be used on both left and right sides. 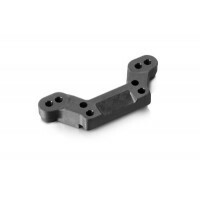 The arm is molded from medium-hardness composite which is suitable for most track conditions, especially for very-low- and low-traction tracks. Taken from an unbuilt XB2 kit. 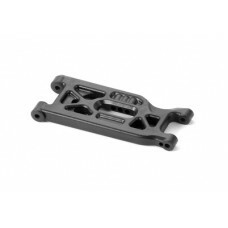 321210 Xray XB2 Alu Suspension Holder Brace - Swiss 7075 T6 (3mm) Aluminum suspension hol..